Ever since the proliferation of social media platforms like Instagram, Twitter, and Snapchat, fitness brands have evolved into accessible and flexible brands of influencers and innovative programs. Even major athletic apparel companies like Nike have transitioned to outsized social media presences focusing on marketing their products and motivating followers. The consequences have not always been positive, but out of the evolution of online fitness has come some critical improvements in nutrition and health. Moreover, the accessibility of the fitness content and its potential to go viral gives fitness brands an outreach never before realized. It is too soon to accurately take into account the long-term consequences of increased access to fitness and motivational content, but analyzing how fitness has evolved parallel to social media offers some intriguing insights. Instagram Dominating Instagram has an enormous fitness community. According to a white paper study by Union Metrics, popular fitness hashtags have been used in tens of millions of posts, including the #fitness being used in 44.5 million posts alone. Further, fitness brands, models, and influencers focusing on fitness have some of the highest follower rates out of any category on the platform. Motivation stemming from the prevalence (and popularity) of Instagram models and emerging brands like the unique MoveU Forever Fix program have led to compelling stories of fitness triumphs. MoveU — founded by Andrew Dettelbach and Dr. Mike Wasilisin — grew from a concept predicated on helping Andrew overcome a severe lower back injury to a distinct exercise and rehabilitation program with nearly 700k Instagram followers. 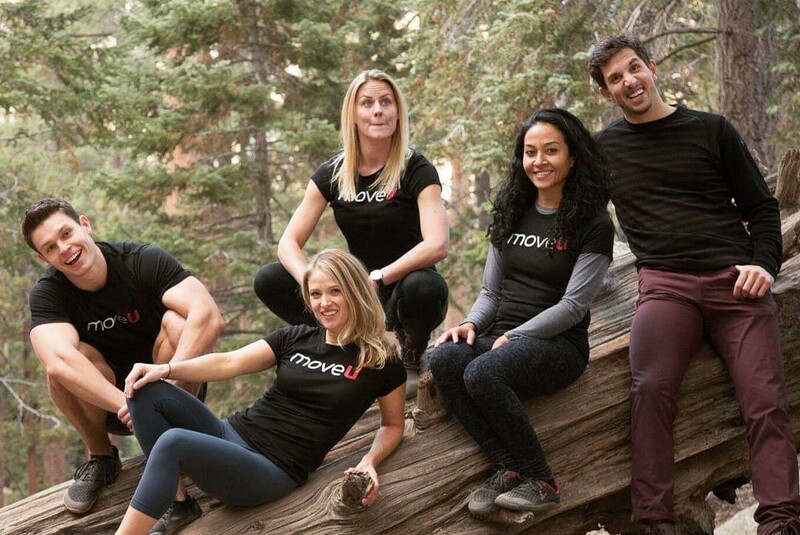 The MoveU program explicitly circumvents the drug-heavy and surgery oriented approach to injuries and persistent pain, something that has been largely missing from recovery fitness. As a result, Mike and Andrew have had a considerable impact on many participants’ lives purely by the ability to reach them through an online outlet on their website and social media accounts. Other brands like Crossfit have transitioned established business models into expansive Instagram content with millions of followers. For context, Crossfit started as a small gym in Santa Cruz, CA in 2000 and is now a ubiquitous global workout regimen with over 2.6 million followers on Instagram alone. The rise of nutritionally-focused brands on Instagram is also a developing trend worth evaluating. Brands such as 8fit provide both broader diet options for followers and specific nutritional information that many users would otherwise not be aware of. Their personalized fitness and nutrition plan is also representative of a broader trend not just in fitness but medicine as well, personalized approach. Personalized Brands for Fitness & Health Personalized fitness branding using social media is most aptly demonstrated with the increasing popularity of Instagram models and influencer brands on other social media platforms. However, while the notion of personalized branding does translate to individual personalities on social media, it also has led to finely tailored approaches to fitness and health. The sheer amount of fitness brands and routines available through social media outlets is like a buffet for improving health. Whether you want to follow a ketogenic diet that teaches how to cook specific meals, focus on home workout routines, or join a fitness community for support, the options are seemingly endless. Rather than pushing traditionally bland advertising models and fitness routines, popular brands are trending towards personalizing their approach to specific sets of users. A report by Sprout Social detailed how one-third of users are more likely to engage with social ads that teach them something. Fitness videos, cooking recipes, and informative health statistics are all classified within this context, and it is a primary driving factor behind the proliferation of fitness branding in social media. Customer engagement has even become personalized directly through social media platforms by gym brands like Crunch Gym. Crunch offers exclusive workouts to tack onto personalized routines and ad-hoc personal membership training videos that are free through following their social media accounts. Apparel brands such as Lululemon even highlight inspirational customer stories and engage directly with customers in direct messages. The interaction between a brand and their followers is a key motivating aspect for many users. Targeted marketing campaigns have also evolved through a personalized approach on social media platforms. Brands such as Under Armour Women and Nike Women cater to a specific demographic. Metrics by Hanapin Marketing detail how allocating a substantial marketing budget to personalized consumer research in social media can help garner support from social media users who want to be seen as real people rather than just sales targets. Social media is rapidly evolving into a dynamic landscape of marketing and brand awareness. At the forefront of that trend are fitness and health branding which have catapulted to among some of the most popular brands on social media. Focusing on a personalized approach, fitness brands have not only garnered incredible amounts of support but have also pushed the envelope on achieving better health and nutrition with a diverse array of resources available to all types of social media users.